NASA’s Jet Propulsion Laboratory created a timelapse worth pondering – eleven years of Mars Rover Opportunity in eight minutes. NASA’s unassuming civil servant Cassini has a thing or two to prove. Before graciously accepting an inevitable and long overdue retirement -Cassini obligingly agreed to traipse through daunting plumes of ice and water vapor, allowing mankind unprecedented insight into ice plumes erupting from the south pole of Saturn’s moon Enceladus. 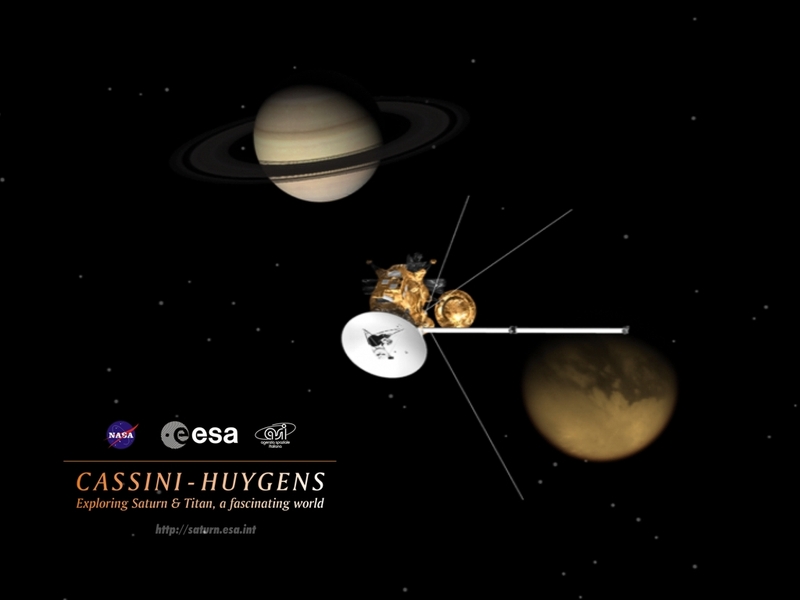 Eighteen years after launch, seven years en-route to Saturn, eleven years exploring Saturn and her moons, two mission extensions beyond wildest expectations – Cassini has nothing to lose. On October 28 this sentiment meant taking a dive at 31,000 kph to within 45 Km of Enceladus at the south pole, directly into erupting “plumes” of icy vapor. 1. Early in its mission, Cassini discovered Enceladus has remarkable geologic activity, including a towering plume of ice, water vapor and organic molecules spraying from its south polar region. Cassini later determined the moon has a global ocean and likely hydrothermal activity, meaning it could have the ingredients needed to support simple life. 2. The flyby will be Cassini’s deepest-ever dive through the Enceladus plume, which is thought to come from the ocean below. The spacecraft has flown closer to the surface of Enceladus before, but never this low directly through the active plume. 3. The flyby is not intended to detect life, but it will provide powerful new insights about how habitable the ocean environment is within Enceladus. 4. Cassini scientists are hopeful the flyby will provide insights about how much hydrothermal activity – that is, chemistry involving rock and hot water – is occurring within Enceladus. This activity could have important implications for the potential habitability of the ocean for simple forms of life. The critical measurement for these questions is the detection of molecular hydrogen by the spacecraft. 5. Scientists also expect to better understand the chemistry of the plume as a result of the flyby. 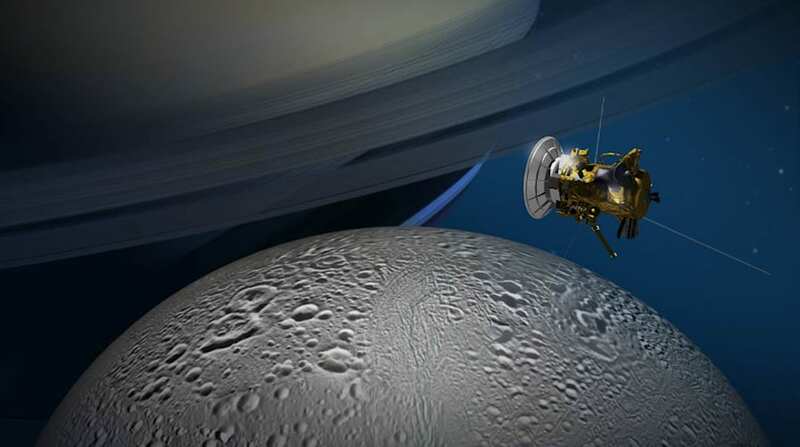 The low altitude of the encounter is, in part, intended to afford Cassini greater sensitivity to heavier, more massive molecules, including organics, than the spacecraft has observed during previous, higher-altitude passes through the plume. 6. The flyby will help solve the mystery of whether the plume is composed of column-like, individual jets, or sinuous, icy curtain eruptions — or a combination of both. The answer would make clearer how material is getting to the surface from the ocean below. 7. Researchers are not sure how much icy material the plumes are actually spraying into space. The amount of activity has major implications for how long Enceladus might have been active. Linked below, NASA’s Jet Propulsion Laboratory definitive guide to Cassini. Ponder the exquisite magnificence of Cassini’s accomplishments. Masahiro Ono of NASA’s Jet Propulsion Laboratory had a “aha” moment – design a spacecraft capable of landing on multiple comets and asteroids. Equip a craft with harpoons and tethers for landing, then cast off for the next destination using kinetic energy. This week Ono submitted his Hitchhikers Guide to the Galaxy based research at the American Institute of Aeronautics and Astronautics SPACE conference. Included were solutions to initial concerns over harpoon and tether strength. Exhaustive analysis and computer simulation arrived at a solution dubbed the Space Hitchhike Equation. The equation led to Ono’s conclusion – materials exist (Zylon and Kelvar) capable of withstanding changes in velocity necessary for safe landing. (velocity change of 1.5 Km/second – imagine Los Angeles to San Fransisco in under 7 minutes). 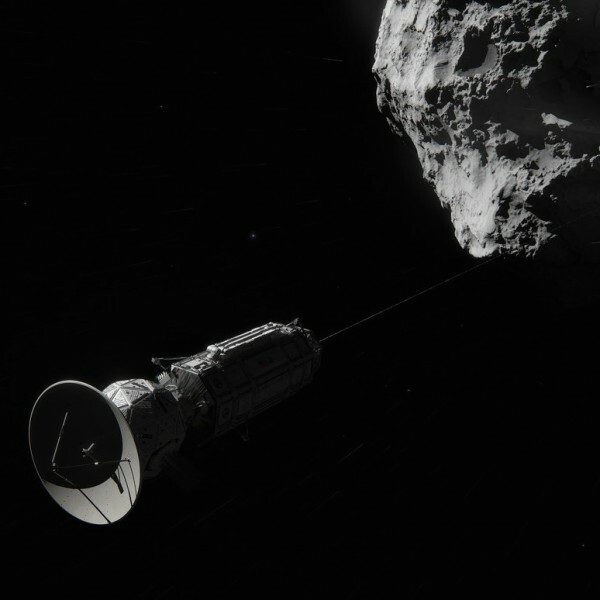 The next phase will include harpoon tests at targets mimicking asteroids and comets. You go Masahiro – imaginations like yours are the future of cosmic exploration and discovery. Once the spacecraft matches its velocity to the ‘fish’ – the comet or asteroid, in this case – it is ready to land by simply reeling in the tether and descending gently. When it’s time to move on to another celestial target, the spacecraft would use the harvested energy to quickly retrieve the tether, which accelerates the spacecraft away from the body. Ponder Ceres, largest resident of the asteroid belt between Mars and Jupiter. Discovered in 1801 by Giuseppe Piazzi, early astronomers considered it a planet. With a diameter of 598 miles, planet is a stretch. Officially, this 33rd largest object in our solar system is a dwarf planet. Large enough to be rounded by its own gravity, yet much too small for planetary respect. Fortunately, size doesn’t matter to science. In 2007 NASA’s Jet Propulsion Laboratory launched the Dawn probe. Dawn’s mission – study “protoplanets” Vesta and Ceres in the asteroid belt to advance understanding of how solar systems form. In July of 2011 Dawn began a 14 month orbit of Vesta (Ceres rocky little sister with a diameter of 325 miles), March of this year found Dawn entering orbit around Ceres. On June 8, 2015 NASA released this video compilation, flying around Ceres – Taken from Dawn’s first orbital mapping and navigational images. Remarkable as it is, the video hasn’t solved one of Ceres greatest mysteries, a curious surface anomaly dubbed the double bright spot. Over the next few months NASA is asking our opinion – vote volcano, geyser, rock, ice, salt deposit or other at the link below.